In the haze that is wedding planning, a beacon of joy often comes in the form of the wedding dress. With the wedding dress, you can choose exactly what you want, and make sure that it fully reflects your personality. 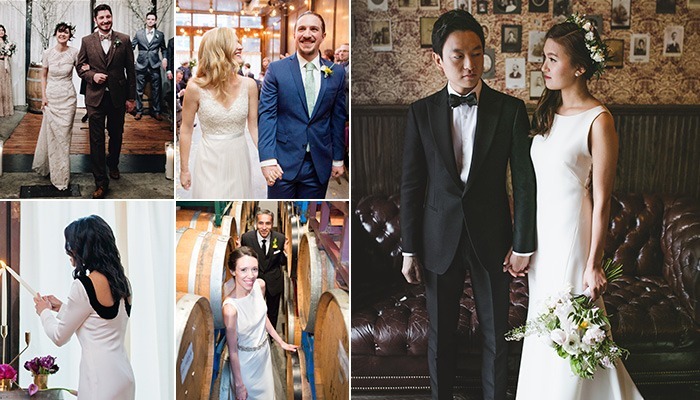 Styles range infinitely, but we’ve noticed several recurring trends in wedding dresses over the last year, and want to show off some of our beautiful Brooklyn Winery couples and our brides’ wonderful, diverse gowns! If there is any day where bling is not only allowed, but welcomed, it’s your wedding day. Glitz, glitter, and glamour are always excellent additions to your wedding dress, making it even more memorable. When it comes to beads and bling, a little goes a long way, and the result is always stunning. 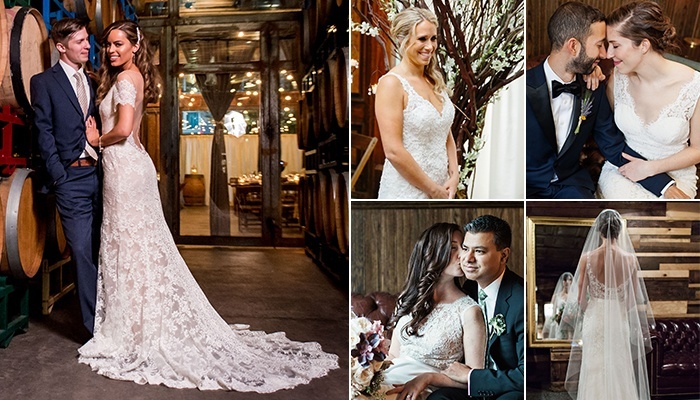 Brooklyn Winery brides have showcased the full spectrum of beads and bling, from a simple jeweled belt to a fully beaded bodice, and we love them all! 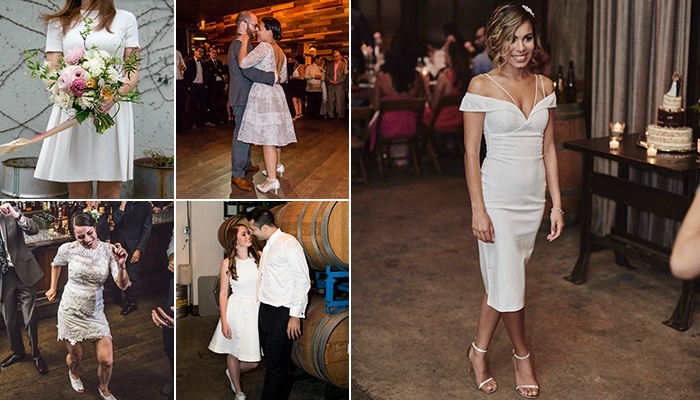 Photos by: Khaki Bedford, Lauren Cowart, Ryan Muir, Lauren Fair, Holding + Co.
Strapless wedding dresses have been in vogue for a while now, and we don’t expect this classic trend to ebb any time soon (for good reason!). The great thing about strapless dresses—besides their gorgeous, classic silhouettes—is the diversity of the style. A strapless wedding dress can work with any fabric, and can accommodate any embellishment from beads, to ruching, and beyond. As much as we love dresses full of pizzazz, we equally love brides that sought out the opposite, and embraced the beauty of simplicity. A simple fitted wedding dress perfectly highlights the beauty of the bride herself. 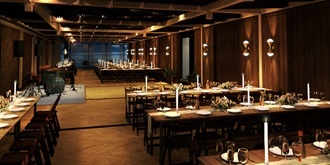 Minimalism doesn’t mean a lack of personality, either, but rather allows for one feature to really shine. There is a reason that many brides want to feel like princesses on their wedding day—it’s fun! Dresses full of tulle are delightful; there is something great about wearing a wedding dress with a full skirt. There aren’t many occasions that allow for an amazing, poofy skirt, so we fully support brides that embrace the opportunity to rock a princess ball gown on their wedding day. Lacey dresses present the perfect opportunity to combine classic and modern styles. 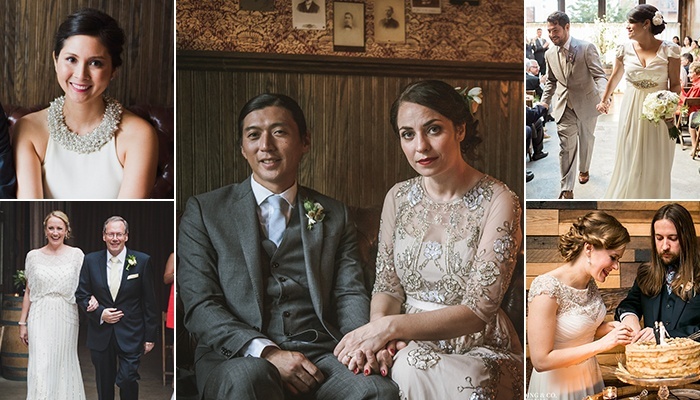 Lace is arguably the most romantic fabric, and in a wedding dress—swoon. Whether it’s the primary material, or just an accent, the addition of lace to a wedding dress makes it a timeless beauty. It’s 2017, and we are throwing old-fashioned rules out the window. 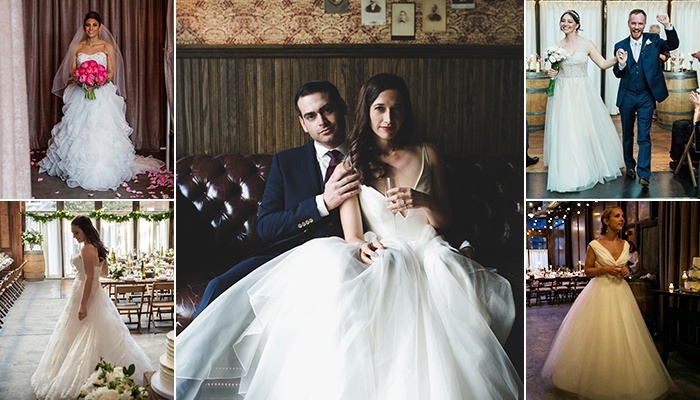 These short and sassy wedding dresses are gorgeous, and so fun. We love the increasing popularity of brides opting for short dresses for the dance party, and the sassier, the better. A wedding should be a fun affair, and in a short wedding dress, that’s sure to be the case. As predicted in our Top 5 Wedding Trend Predictions for 2017 post, we noticed the ongoing trend of bold, colorful dresses. 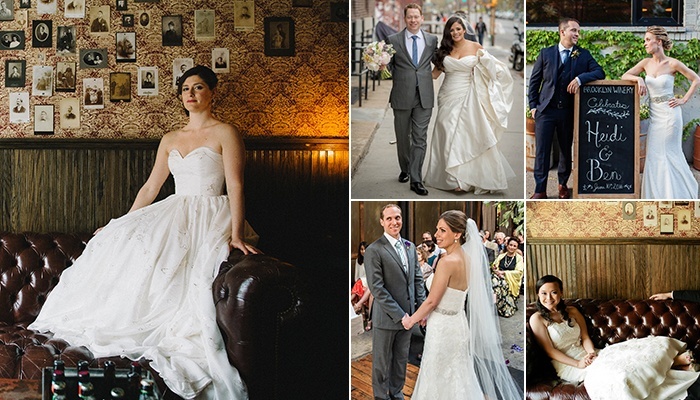 Hop over there to see a few more gorgeous Brooklyn Winery brides, and their uniquely vibrant gowns! A wedding dress is all about personal style, and at the end of the day, if you love it, you will look fabulous.